The base is five-quarter edge glued pine. I bought a 30" x 60" board and cut it 24" x 30". I then used the remaining 12" x 30" piece for the bases on my DIY room lenses. After rounding the edges with a router, I painted them semi-gloss black. 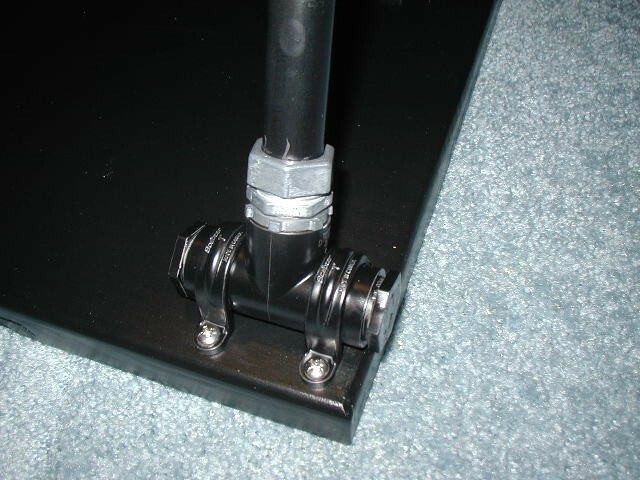 Corner braces are 3/4" PVC T's with 3/4" compression fittings secured with PVC straps. See Green Lantern's original design. The braces are 3/4" galvanized conduit flattened and drilled at the top end. I drilled the hole off-center to move the brace inward slightly so it would line up better with the bottom brace. Next time I would just drill it in the center so it doesn't torque, but it's OK like this. 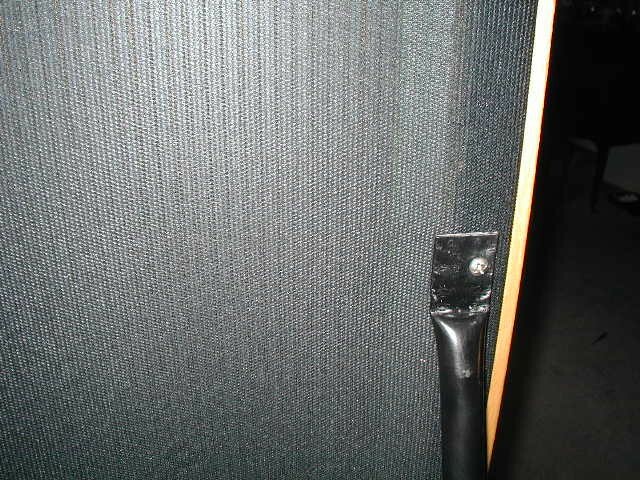 I used weather stripping from an auto parts store between the brace and the speaker. 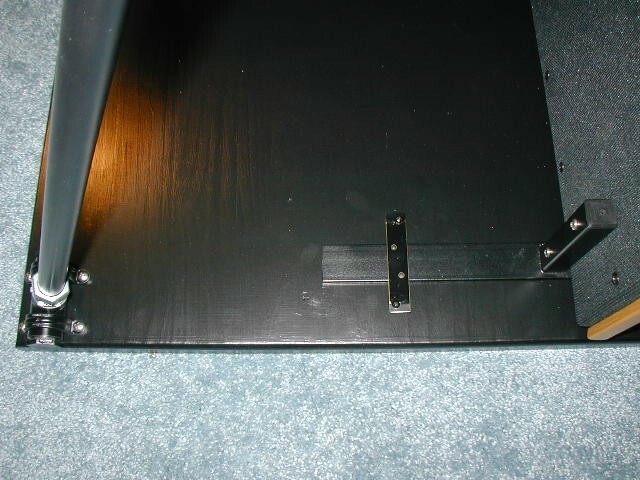 The attachment point is the existing trim screw hole. Stainless steel screws... snug, but not so tight that they completely compress the weather strip. 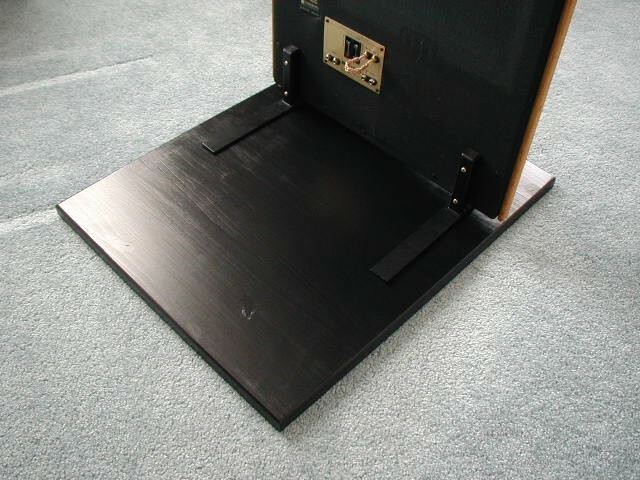 Mending plates with weather strip secure the stock stands to the base. I used awning screws with pre-painted black heads. The finished stands from behind. 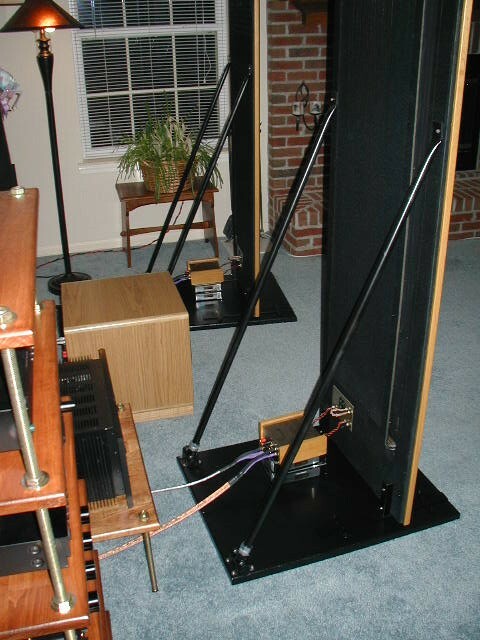 I'm running bi-wire Analysis Plus Oval 9's and double 16 AWG solid silver twisted pairs between the XO and the speaker. 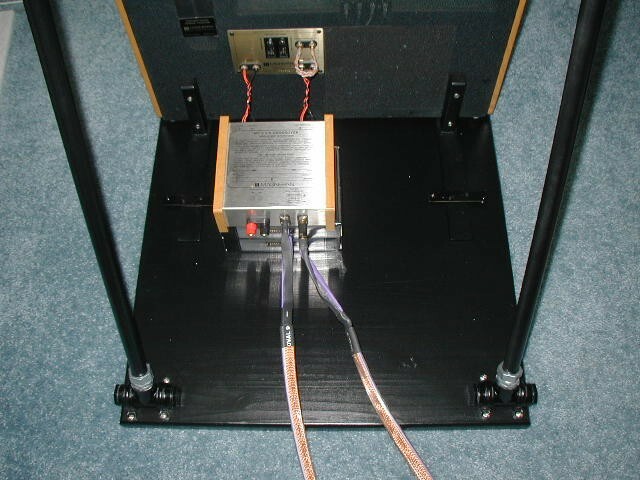 The tweeter attenuator is Chris VenHaus Cat5 braided copper. Stands in service. I was expecting the bass response to improve, and it did. I wasn't expecting such a HUGE improvement in the imaging and high frequencies. The overall improvement in the highs was a surprise, but perhaps the tweeter is more accurate when the entire panel is not vibrating so much from the bass and midrange panels. The focus and positioning of the insturments and vocals in space improved tremendously as well. Overall, a great tweak!! !